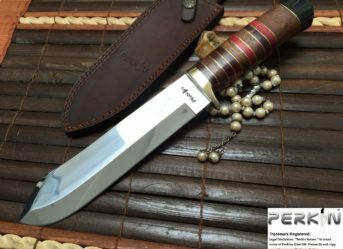 Perkin Knives have a stunning collection of hunting and survival knives which will help you make the most of your trip out in the wild. One of the best choices in this respect would be J2 steel knives. 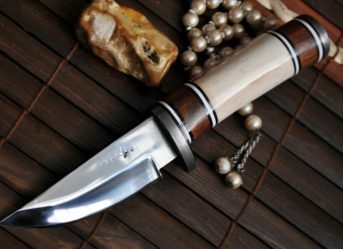 With J2 steel knives, you never need to worry about the quality and usability, as they provide all you need for a classic wild experience. 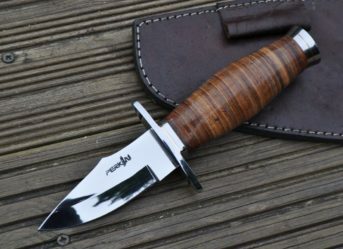 Moving on to the J2 steel knife features, you will be stunned to see what this beauty can do. Willing to tear down a tree or skin some sweet rabbit meat for a delicious meal? This knife has got it all under control. The tip is sharp, and overall it presents itself as the perfect hunting companion. Still wondering why you should choose J2 steel knife? Well, the blade is sharp enough to cut down even the toughest of objects and help you carve masterpieces. It comes with a leather sheath to keep it protected and don’t forget the gorgeous and sturdy handle which gives you a brilliant grip for the best experience. Buy your Perkin knife today!